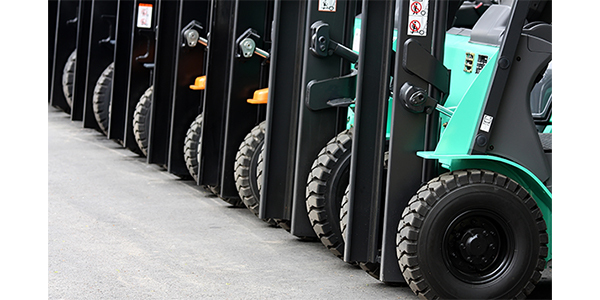 About 30 brands of lift trucks for warehouse applications are sold in the United States today. So why are new entrants eager to enter such a crowded field? Lift trucks have been around for a long time—Clark Equipment Co. is widely credited as the inventor of the sit-down counterbalanced forklift, back in 1917. In the 100 years since, lift trucks have become both ubiquitous and indispensable. More than half a million forklifts are in use in the United States today, and orders for new equipment have grown to well over 200,000 units annually, according to the Industrial Truck Association (ITA), which represents providers of lift trucks and associated products and services in North America. About 30 brands of lift trucks for warehouse applications are currently sold in the U.S.—some manufactured here and others imported. Clearly, this is a mature and highly competitive market. Yet in the past few years, new companies have entered the U.S. marketplace, and others that already had a toehold have expanded their presence. What is drawing them here, and why would they want to enter—or expand in—such a crowded field? Read the entire article in DCVelocity.com here.